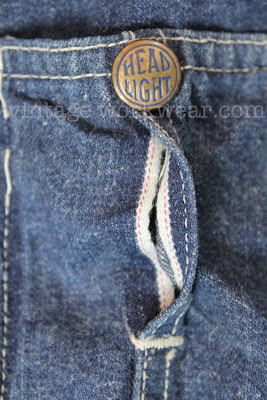 Proprietary bib pocket found on vintage HEADLIGHT Union Made Overalls. Pocket design, Talon zipper and HEADLIGHT loomed label most likely date this pair of overalls to the 1940's era, possibly as late as the 1950's. 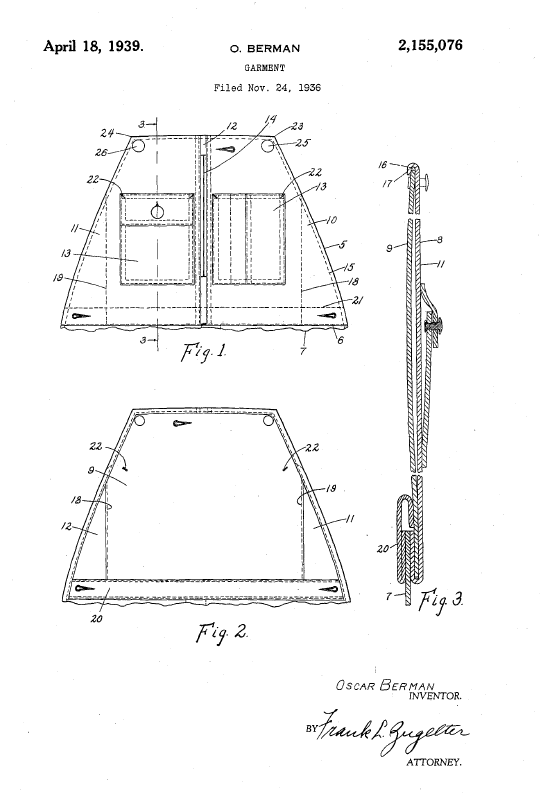 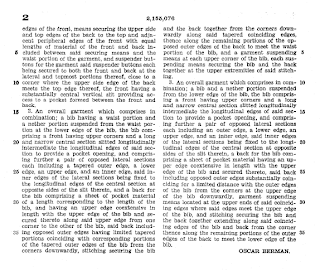 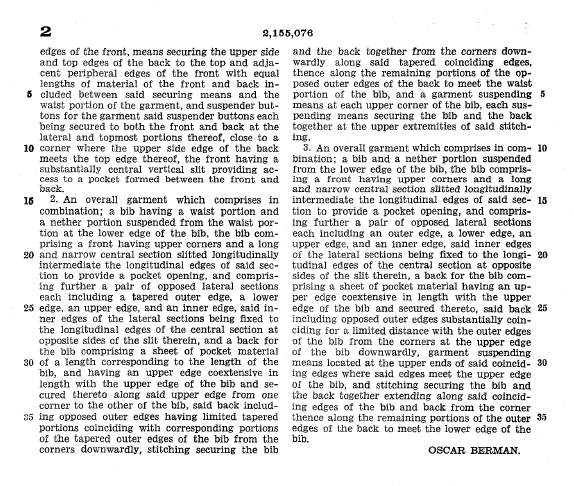 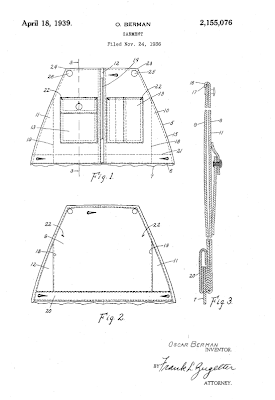 This particular pocket design was filed by inventor Oscar Berman on November 24th 1936 and was patented on April 18th 1939. 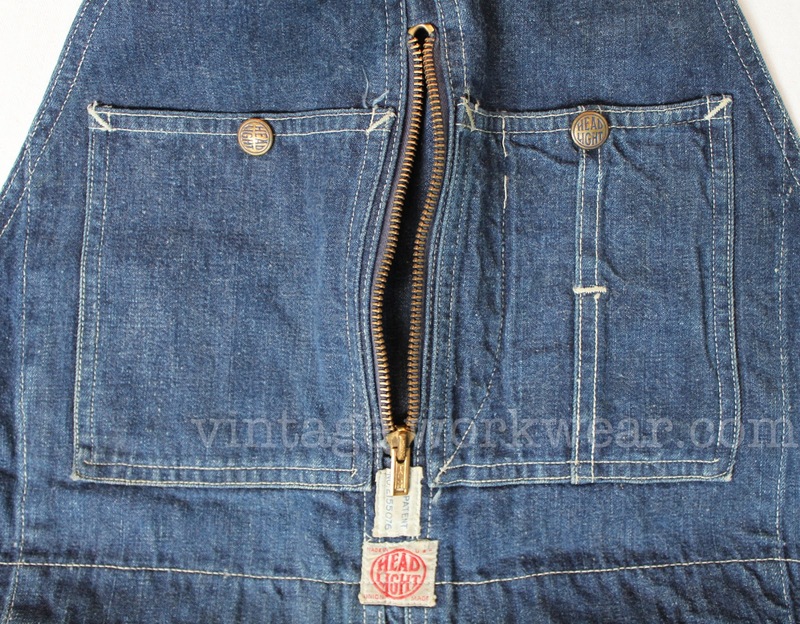 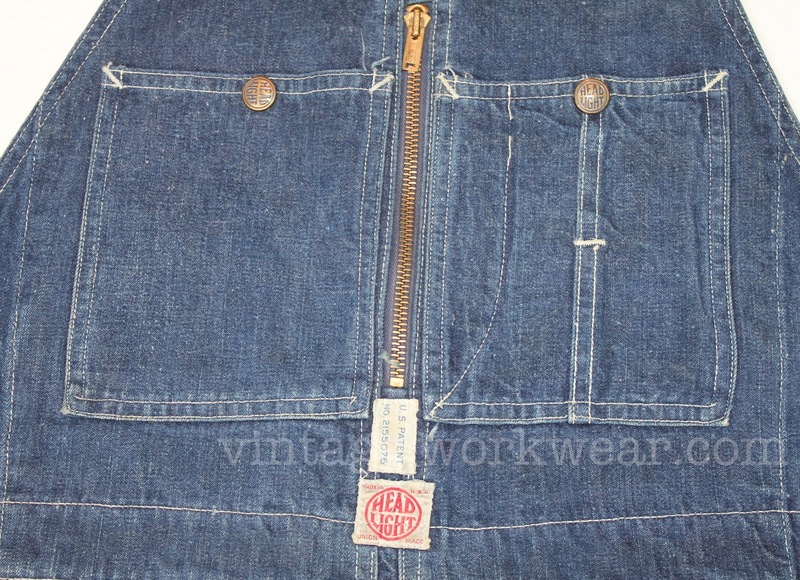 The design provided four different pockets located on the front bib portion of the overalls including right and left side patch pockets, watch pocket (separated from the right patch pocket by sail cloth not seen in photo) and the patented larger pocket located behind the patch pockets and accessed via the zippered opening. 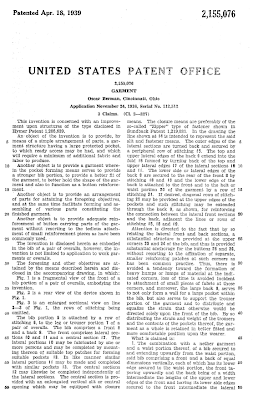 Patent information is seen below. I have a pair of headlight coveralls, that im looking for some information on.